I’ve lived in and around Pecan and 7th Street for most of my adult life. For the past five years, my wife Emily and I have rented a small bungalow in Chantilly, a neighborhood a few blocks up Pecan just before Plaza-Midwood. It’s the best neighborhood in Charlotte. But with a baby on the way, we’ve had to make the tough decision to move from our beloved neighborhood to a larger house in the suburbs. We’ve talked for several years about moving to a place where we can get more house for the money, but never did. 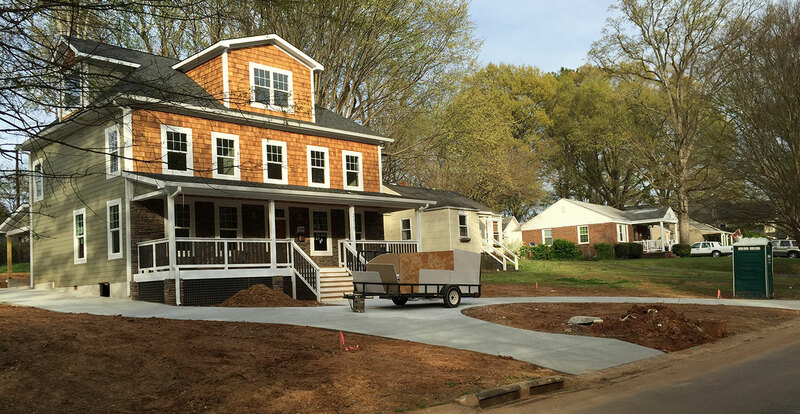 The neighborhood–with its proximity to Elizabeth and Plaza-Midwood, charming homes, friendly neighbors and massive trees that line the streets–made it difficult to leave. This despite living in a house so small I could carry on a casual conversation with Emily from opposite ends of the house. 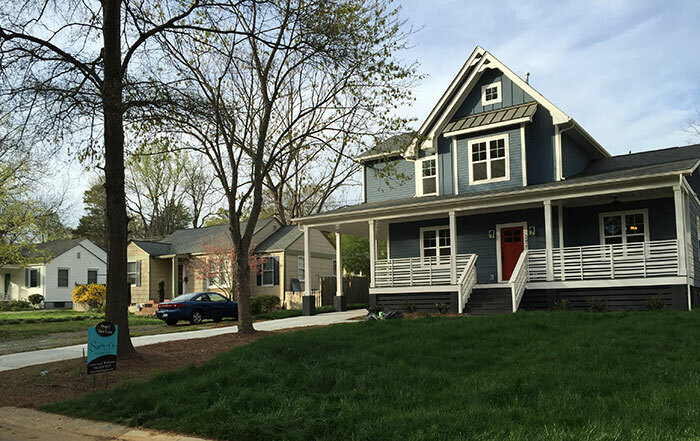 But Chantilly has changed over the past decade–as much as any neighborhood in Charlotte. The charming and sometimes rundown bungalows are being razed in favor of 3,000 square-foot mini mansions. It’s happening in a lot in Charlotte, I know. But it feels different in Chantilly. 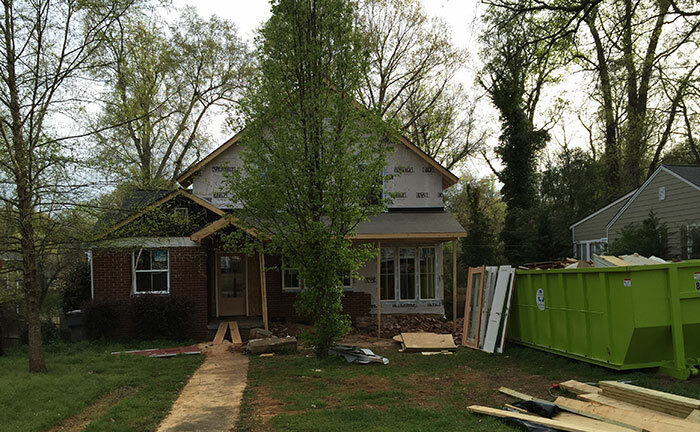 Where else in Charlotte can you find a shabby 1,000 square-foot house pinched by massive new homes on either side? In Chantilly, you see it on every street. And it’s a good thing. “I think it’s one of the hottest neighborhoods in the city,” said Genevieve Williams, a real estate agent and resident of Chantilly for nine years. 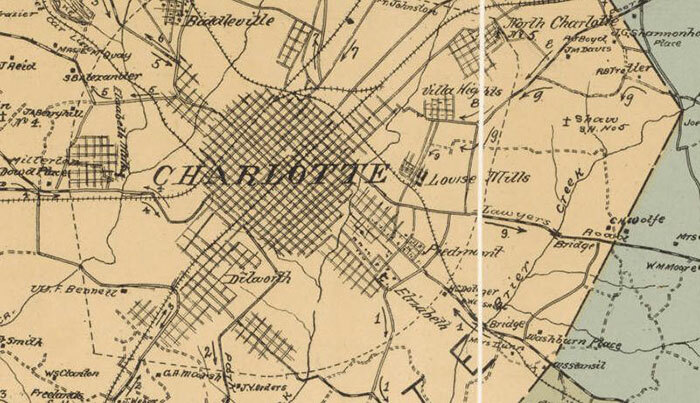 A map of Charlotte from 1911 shows very little development in Chantilly. You can see the railroad tracks running through and area with no roads. This was the time when Central Avenue was still called Lawyers Road. By 1913, a deed map had been drawn. In the 1930s, the neighborhood was now called “Chantilly” and stretched from Commonwealth Avenue in what is now Plaza Midwood, to 7th Street. In the northeast corner, one could tee it up at the old McClintock Golf Course. The mid-to-late 1940s was the defining time period for the neighborhood. In 1946, at a private meeting held at Myers Park Country Club, city leaders decided to route the new expressway–Independence Boulevard–smack through the middle of Chantilly down Westmoreland Avenue. (Incidentally, after outrage from citizens, city leaders voted to build Independence Boulevard down Randolph Road next to Eastover. The federal government, who bankrolled construction, decided against it, and the original plan was implemented.) Houses were torn down along Westmoreland, and the craziness of Independence Boulevard was born. Also in 1946, an auction was held for many of the remaining plots in Chantilly. Most of the homes, in fact were built around this time period, including the one I currently live in. The luster of Independence would wear off by the 70s and 80s, and Chantilly fell into severe decline. Crime, run down houses, suburban flight doomed the neighborhood. 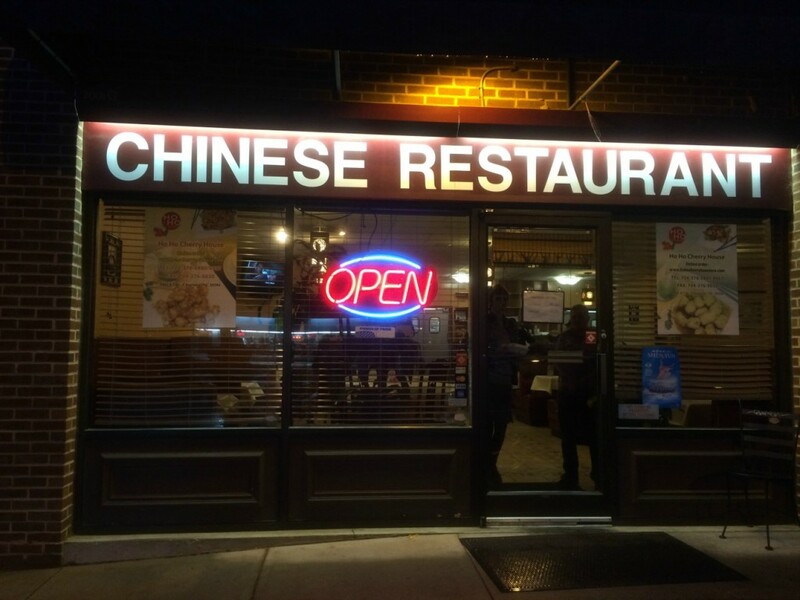 In the late 80s and early 90s, something changed. Independence Boulevard, now a semi-interstate with limited access, moved motorists from downtown well past the Chantilly’s cross streets. 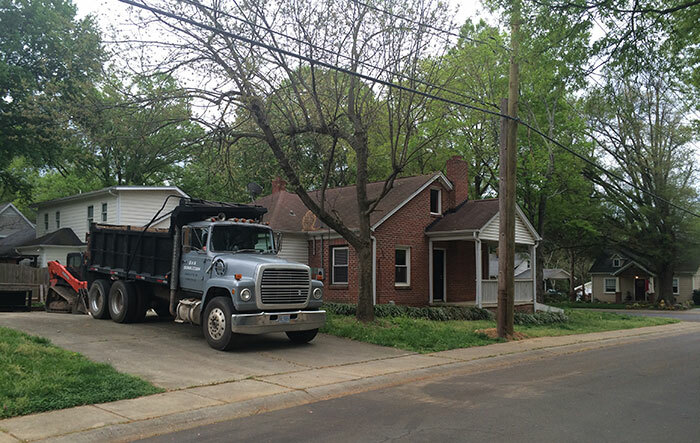 Plaza Midwood began to change, becoming hipper and less down trodden. People discovered Chantilly’s unique home styles, its beautiful old trees, its own city park, and move in. It wasn’t until the last 10 years that the next great phase of Chantilly began. As home prices in Dilworth, Myers Park and Elizabeth began to skyrocket, young families began to find value in the old bungalows. Some renovated them into quaint little homes, others tore them down and built the mini mansions. With just four entrances to the neighborhood, many were attracted to its island-like feel where there were no cut-through roads like the surrounding areas. And at just 650 homes, it felt like Chantilly was more intimate than other neighborhoods near downtown, and smallness almost became a sense of pride. And there’s the rub. Emily and I had everything we wanted in Chantilly except the space to raise a family. And with home prices averaging at almost $400k, there was nothing for us to do but move. So it’s with sadness that I have to write a breakup letter to my neighborhood. I will never be the same without you, Chantilly, and in 15 years, with all of the new construction transforming every street, you won’t be the same either. Join the 40,744 smart Charlotteans that receive our daily newsletter.